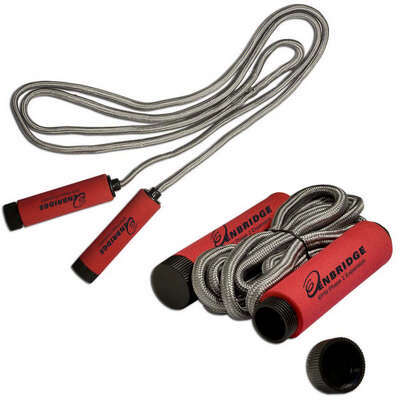 Stay fit at all times with the Champion's Jump Rope. It is made from Polyester with soft EVA handles. 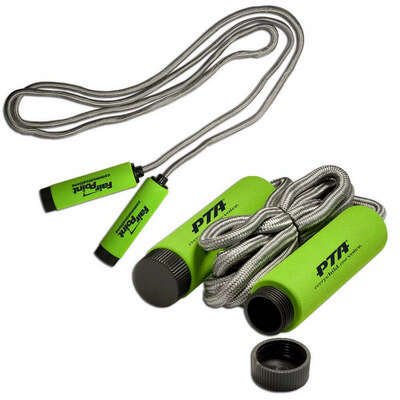 Dimension: Rope: 9'; Handles: 5-3/8" long x 1-1/4" dia. 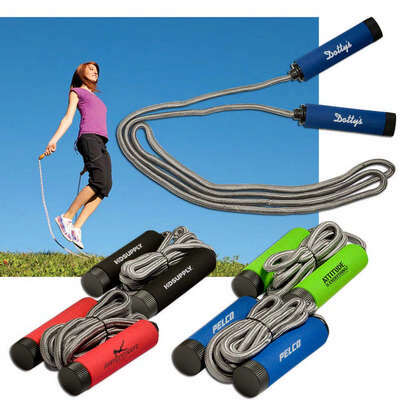 Stay fit at all times with the Champion's Jump Rope. It is made from Polyester with soft EVA handles. 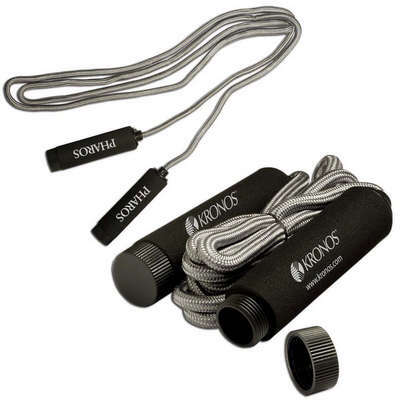 The rope is sturdy and long lasting. It is compact and easy to store. 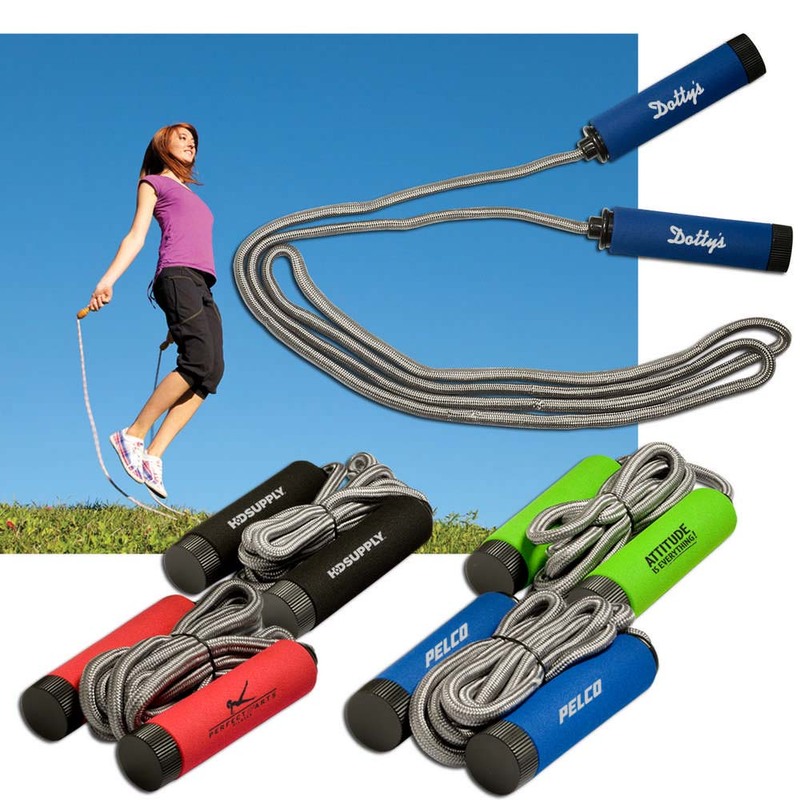 This jump rope is a good accessory to keep fit at home, or at training camps, or for a quick workout at hotels, when traveling away from work. 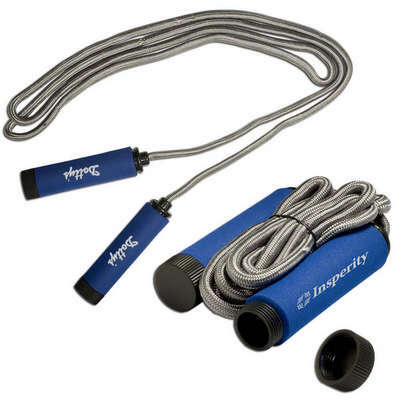 Customize this jump rope further with your company's logo to help improve branding.